Soup in the summer! Of course and this super quick, fresh and healthy soup is perfect for anytime. Salt cucumbers and let sit for 30 minutes in a colander to drain. Add all ingredients in a blender and puree. Chill before serving. 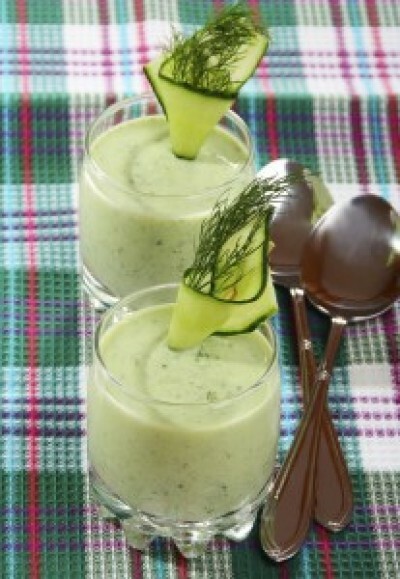 Garnish with cucumber slices and fresh dill.